These six tips can get you started and help your business make sales without driving off current or potential customers. Traditional sales tactics have sometimes involved being pushy or overbearing. In today’s world, and especially in the digital landscape, that kind of sales strategy gets ignored. Or, worse still, it pushes potential customers away from the brand altogether. 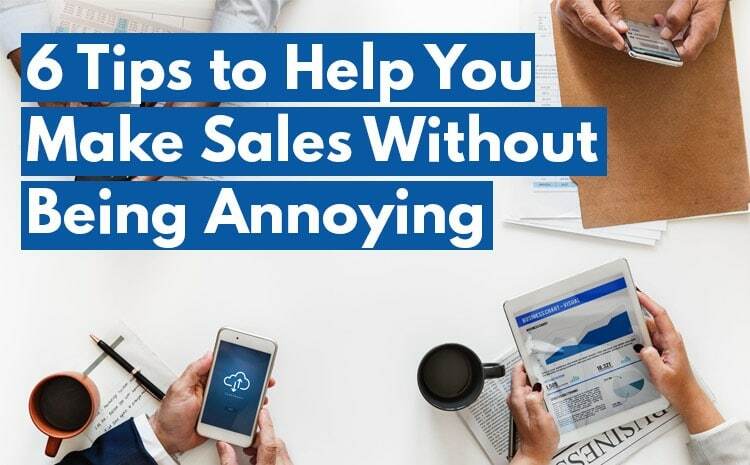 While you can’t abandon the sales approach entirely, you can find a way to sell without being annoying. These six tips can get you started and help your business make sales without driving off current or potential customers. When people are online and using search engines, it is usually because they have a query. 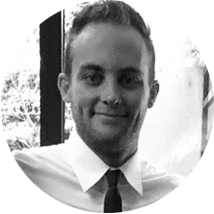 One of the best ways that you can establish credibility within your industry is by giving users the answers to their questions. It is important not to force these questions. Instead, find out what your target audience is actually asking. If you’re not sure where to start, check your inbox. You probably already get lots of emails or messages from your audience. They might be asking questions about which product is recommended for a specific use or for the best time to buy or use one of your products. If you notice the same questions popping up time and time again, make the most of this information. Answer the questions on social media, through an e-book or in a blog post, and you’ll organically attract users who want to hear what you have to say. Anyone who has spent more than a few minutes on Facebook knows that some businesses and individuals can post so frequently that it becomes spammy. When this happens, others are more likely to block the profile or unfollow it. That’s the last thing you want as a business because it reduces your audience. Whether you’re posting on Instagram or sending out emails to your client list, think carefully about frequency. If you’re a big multinational company with millions of followers, then posting more than once a day might be appropriate. If you’re a smaller company, daily social media posts are ideal. For most businesses, sending more than one email a week runs the risk of becoming annoying and ultimately causing more people to unsubscribe from your mailing list. Your overall objective might be to make more sales. While there is nothing wrong with that goal, you don’t want your users or customers to think that’s all you’re focused on. To prevent that from happening, be sure to engage your audience and create conversations with users. To start, that means having a human voice in your content. You can still be professional and an expert when you write in the second person. Plus, you should be responding to comments and queries whenever possible. If someone leaves a great review, thank them. If someone asks a question on a blog post, respond in a timely fashion. All of these actions show that you truly care about your customers, and it can go a long way in encouraging more sales and interactions in the future. Above all else, ensure everything you write, send or post has value. Keep in mind that value can mean different things to different people. Sometimes, a blog post is valuable because it shows readers how to do something new. In other cases, a social media post is valuable because it is humorous or entertaining. Don’t feel like all your content needs to deliver the same kind of value. If you have a diverse audience, it is perfectly acceptable to create a lot of different types of content that can appeal to a variety of different people. That being said, it can be helpful to stick with the same voice whenever possible. This helps you define your brand and lets users know exactly what kind of company you are right from the start. A CTA, or call to action, is a sentence or line that prompts readers to take some kind of action. If your goal is to make a sale or convert a reader, then it is imperative to include a CTA in your content. Even if you just want someone to click your link on Facebook, a CTA is useful. In fact, the majority of leads will come directly from a CTA button or hyperlinked text. Although the CTA is vital, you shouldn’t include more than one CTA in a standard piece of content. Too many calls to action can start to feel aggressive, and that’s the last thing you want your audience to think about your content. 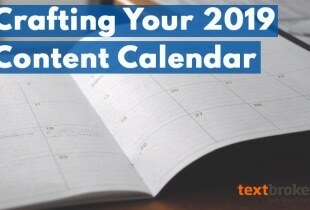 Play it safe by including just one clear CTA at the bottom of your content. Keeping the CTA in the final paragraph, or even in the final sentence, will net you the best results. The final tip to help you make more sales without becoming annoying to your audience is to satisfy user needs whenever possible. With every post, think carefully about who you’re writing for. After all, is your content designed to help the reader or market your products? With the aim of delivering value to the user in mind, try to identify their needs and then create content that fills existing holes in your industry. If your content looks and feels too much like direct advertising, step back and try again. Making sales without being overbearing can feel like walking on a tightrope. While you certainly want to make sales, you don’t want to push users away by coming on too strong. With these six tips, you can navigate the middle ground and deliver valuable content while positioning yourself perfectly for future sales. 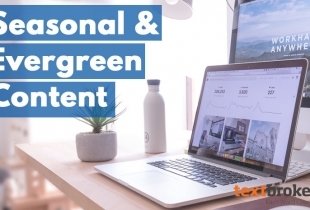 Seasonal vs Evergreen Content: Which Is More Effective for Online Marketing? 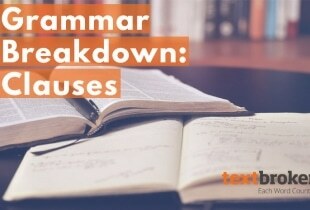 I just discovered the textbroker blog presence a few minutes ago — how useful! And yours fit right in with what I’ve been doing lately so I’ll definitely use a few of your ideas. Question: Can you provide some samples of CTA wording? I hate sounding fakey like a commercial.